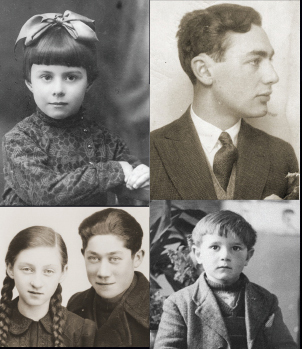 Each year, the Jack, Joseph and Morton Mandel Center for Advanced Holocaust Studies organizes programs that enable new and established scholars to further their research and teaching based on the archival holdings of the International Tracing Service (ITS) (external link). The collection opened to researchers only in 2007, and includes more than 35 million multi-page Holocaust-era documents relating to the fates of more than 17 million people who were subject to incarceration, forced labor, and displacement during and after World War II. Digital copies are available in eight locations around the world; the Museum hosts one of them. The entire ITS collection is still undergoing digitization and transfer to the Museum, but our digital copy already contains more than 200 digital images of documents spanning the period of 1933 through the mid-1950s. These include prewar and wartime prisoner arrest, incarceration, and transport records from German concentration camp and police authorities; prewar, wartime, and postwar records concerning foreign and forced labor in the German war economy, which were generated by the Nazi state, individual German firms, and postwar Allied occupation authorities; and postwar Allied records of individuals and families seeking displaced persons status and emigration. The International Tracing Service (external link) and the Mandel Center co-hosted sixteen graduate students and faculty members from eastern European and former Soviet countries for a two-week research worksing in the ITS Digital Archive at the Museum. The International Tracing Service (external link) and the Mandel Center co-hosted researchers from local commemorative and educational projects from Germany and Austria in Bad Arolsen for a three-day introduction to research in the ITS Digital Archive. The International Tracing Service (external link) and the Mandel Center co-hosted fifteen graduate students from Germany and Austria in Bad Arolsen for a three-day introductory workshop on research in the ITS Digital Archive. The Institute of National Remembrance (external link) (IPN), the International Tracing Service (external link) (ITS), the POLIN Museum of the History of Polish Jews (external link) and the Mandel Center co-hosted thirteen Polish and east European scholars at a research workshop in Warsaw, where participants were provided opportunities to conduct research in the ITS Digital Archive and other IPN holdings related to World War II, as well as resources accessible at POLIN, including genealogical databases at its Resource Center. The Mandel Center, the POLIN Museum of the History of Polish Jews (external link), and the Institute of National Remembrance (external link) (IPN) co-hosted seventeen Polish scholars in Warsaw at a seminar designed to provide an introduction to the scholarly potential of the ITS Digital Archive. The Mandel Center hosted a large group of advanced undergraduate and beginning graduate students in Washington, DC for a five-day seminar on the use of records from the ITS Digital Archive held at the United States Holocaust Memorial Museum. These students explored themes including the Nazi machinery of destruction; non-Jewish victims; foreign, forced, and slave laborers; and displaced persons. The Mandel Center and the Wiener Library for the Study of the Holocaust & Genocide (external link) co-hosted fourteen scholars from Europe and North America at the Museum for the International Research Workshop, “The Holocaust in Eastern Europe in the Records of the International Tracing Service Digital Archive.” Staff scholars from both institutions moderated research discussions and assisted participants conducting research in the ITS digital archive. The Mandel Center and the International Tracing Service in Bad Arolsen (external link) co-organized and co-hosted an international conference, “The International Tracing Service (ITS) Collections and Holocaust Scholarship,” in May 2014. This conference brought together scholars who have conducted significant new and original research in ITS collections since the opening of the archive in 2007 and served to illustrate the archive’s broad academic research potential. Fourteen advanced undergraduate and beginning graduate students participated in this five-day seminar, using ITS records to explore the following themes: the Nazi machinery of destruction; non-Jewish victims; foreign, forced, and slave laborers; and displaced persons. Staff scholars introduced sixteen doctoral students and faculty to the ITS collection and assisted them in their research on Poland and Ukraine. Twenty-one advanced undergraduate and beginning graduate students participated in this ten-day seminar, using ITS records to explore the following five themes: the Nazi machinery of destruction; non-Jewish victims; foreign, forced, and slave laborers; displaced persons; and war criminals. 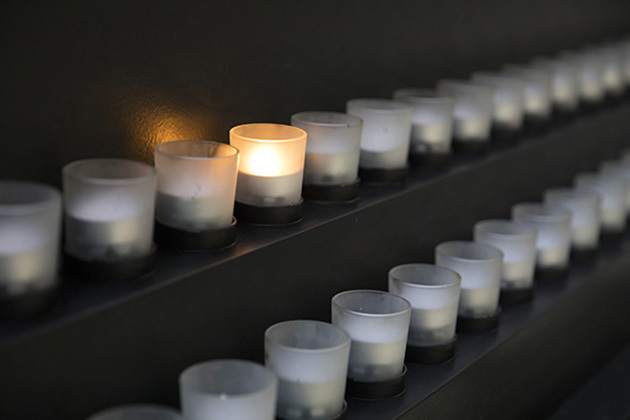 Twenty advanced undergraduate and early graduate students attended a ten-day seminar at the Museum on five thematic areas relevant to the history of Nazi Germany and the Holocaust. Participants examined these themes through the use of select ITS documents. Topics included the concentration camp system; non-Jewish victims; foreign, forced and slave laborers; displaced persons; and war criminals. Staff scholars introduced 12 researchers from Europe, Israel, and North America to the ITS collection and assisted them in their research on foreign, forced, and slave labor in the German war economy. The Center for Advanced Holocaust Studies and the International Tracing Service introduced scholars to the ITS Archive in Bad Arolsen, Germany, teaching them how best to use and understand ITS materials. Participants explored the documentation in groups and identified key portions of the material that offer particularly rich opportunities for new research.